Harold M. Mcnair, PhD, known internationally as a leading researcher and educator in the field of chromatography, is currently Professor Emeritus of Chemistry at Virginia Tech. James M. Miller, PhD, is Professor Emeritus of Chemistry at Drew University, where he taught for thirty-six years. He is also the author of Chromatography: Concepts and Contrasts (Wiley). Sample Inlets and Sampling Devices. 3 BASIC CONCEPTS AND TERMS. Classification of Stationary Phases for GLC. 5 PACKED COLUMNS AND INLETS. Inlets for Liquid Samples and Solutions. 6 CAPILLARY COLUMNS AND INLETS. 8 QUALITATIVE AND QUANTITATIVE ANALYSIS. Advantages and Disadvantages of PTGC. 10 GAS CHROMATOGRAPHY–MASS SPECTROMETRY (GC–MS). Fundamental Principles of Multidimensional Chromatography. Solid–Liquid Extraction: Soxhlet Extraction and Accelerated Solvent Extraction (ASE). Liquid–Solid Extraction: Solid-Phase Extraction (SPE). Liquid- or Solid-Vapor Extraction: Headspace Extraction. GC Analysis of Nonvolatile Compounds. APPENDIX I SYMBOLS AND ACRONYMS. APPENDIX II GUIDELINES FOR SELECTING CAPILLARY COLUMNS. APPENDIX III GC: HOW TO AVOID PROBLEMS. APPENDIX IV CALCULATION OF SPLIT RATIO FOR SPLIT INJECTION ON OT COLUMNS. APPENDIX V OPERATING CONDITIONS FOR CAPILLARY COLUMNS. APPENDIX VI OV LIQUID PHASES PHYSICAL PROPERTY DATA. APPENDIX VII SOME COMPRESSIBILITY CORRECTION FACTORS (J). APPENDIX VIII SOME INTERNET WEBSITES FOR GAS CHROMATOGRAPHERS. 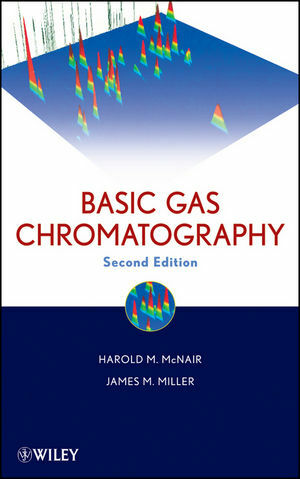 APPENDIX IX OTHER BOOKS ON GAS CHROMATOGRAPHY.